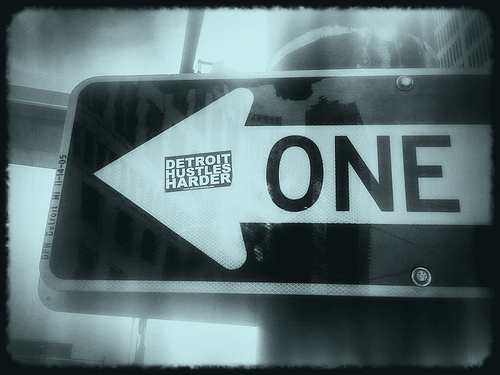 Movement, which was originally set up in 2000 to celebrate Detroit’s Techno legacy, is now one of the USA’s foremost electronic dance gatherings, with over 80,000 people attending the 3 day event this year. The location put me in mind of when I was a kid, going on my holidays to Blackpool (the UK’s Coney Island) and buzzing off the sights and sounds of the fairground. Looking around, I was struck with the thought that festivals are, in many respects, modern day fun fairs, with youthful energy in abundance and an atmosphere both thrilling and edgy, as otherwise disconnected groups of people are brought together in a communal celebration of music. With this in mind I began to see each stage providing a different ride for the crowd to enjoy, as they boarded the rollercoaster and reacted in unison to all the climbs, dips and bends which the DJs provided. All the tribes were out in force, a multi-cultural melting pot of humanity, reflecting the city’s rich diversity. Detroit has a rugged quality, it knows how to roll with the punches having seen its once prosperous car industry drastically downscale in the past 40 years, prompting an exodus that has caused its population to more than halve from its 1.8 million peak in the ’50s. This is starkly illustrated by vast derelict areas once full of life and endeavour, but now unnervingly desolate, not to mention highly dangerous if you wander off the beaten track. 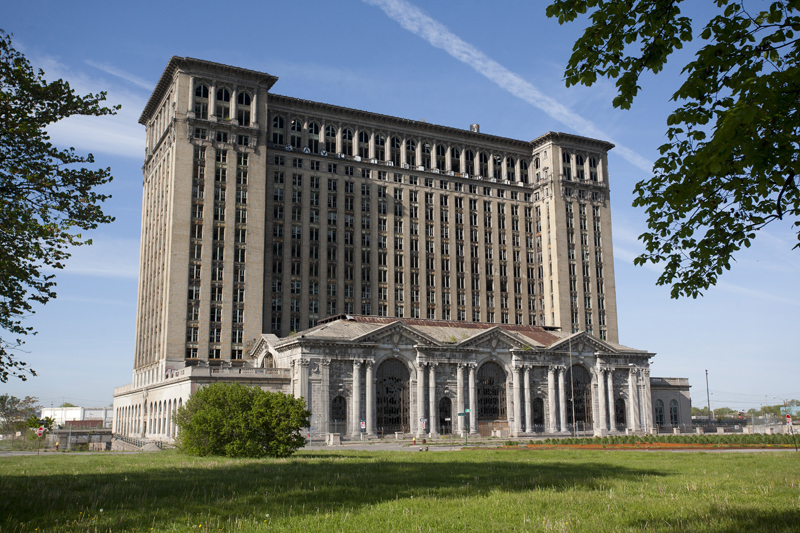 Perhaps the greatest symbol of this fall from grace is Michigan Central Station, a giant amongst buildings (once the tallest rail station in the world), which has been subjected to the scars of abandonment since the last train stopped there in 1988. Although contemporary clubbers revere Detroit for its Techno heritage, it’s Hitsville USA that defines the city for me, and many others of my generation – the house where all-time greats including Marvin Gaye, Stevie Wonder, The Temptations, The Four Tops , Diana Ross & The Supremes, Martha Reeves & The Vandellas, Smokey Robinson & The Miracles, The Jackson 5 etc etc etc, gave the world the gift of so much cherished music. 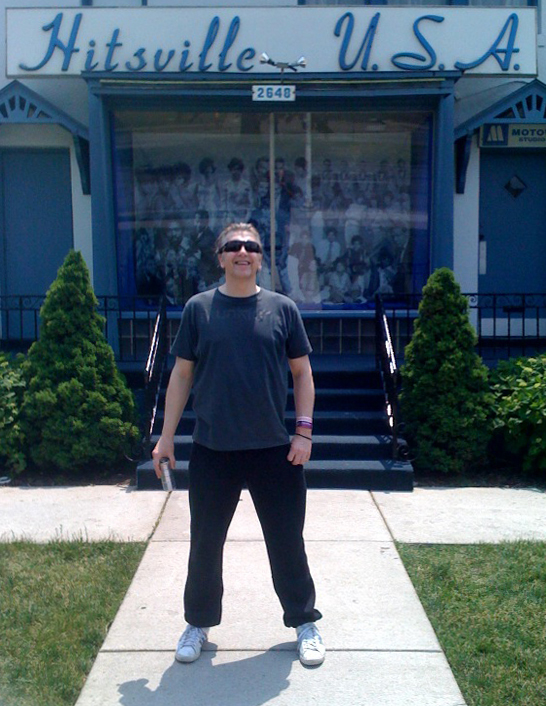 This is, of course, the hallowed home of the Motown sound – if you want to trace dance music in its modern context back to source, all roads lead to Detroit Michigan, Motortown, Motown. I consciously paid my respects by playing a couple of re-worked Motown classics at Movement, the Drop Out Orchestra’s take on ‘My World Is Empty Without You’ by The Supremes and Bermuda Traiangle’s edit of Marvin Gaye & Tammi Terrell’s ‘Ain’t No Mountain High Enough’, and before I headed back to the airport to catch my flight home, Organic promoter, Chris Galea, was kind enough to drive me to Hitsville. Unfortunately it’s closed to the public on Mondays, so I couldn’t go inside and see ‘the Snakepit’, the somewhat sacred main studio at Motown where so much incredible music was recorded during those halcyon years from 1959-1972, before the company’s founder, Berry Gordy Jr, moved operations west to LA, bringing to an end a truly golden era. Although it would have obviously been great to look around, I was happy enough just to make my personal pilgrimage, and stand outside the building in which so much history was made – hopefully I can venture inside next time. To get a level of just how influential Motown was, it’s worth considering the remarkable statistic that The Funk Brothers played on more #1 records than The Beatles, Elvis Presley, The Rolling Stones, and The Beach Boys combined! Detroit was the World capital when it came to hits. There’s history all around you in Detroit. After the festival I headed along to St Andrews Hall, where I was making an after party appearance. 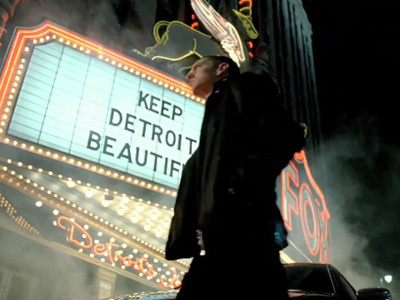 This is the venue where Eminem regularly played before he was famous, and which featured in the movie ‘8 Miles’ (Hip Hop was also evident at Movement, where Public Enemy closed on the Sunday night, with Ice-T making a guest appearance). 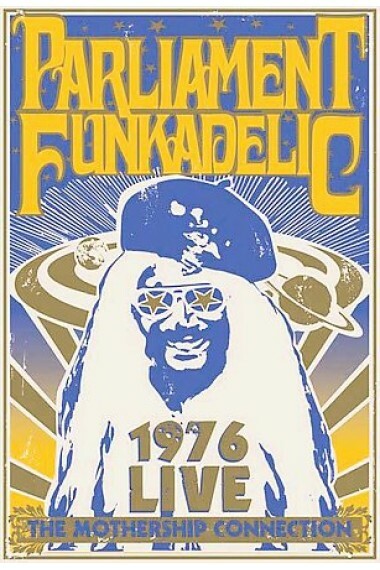 The P-Funk of Parliament-Funkadelic is also part of the city’s DNA (or should that be LSDNA). 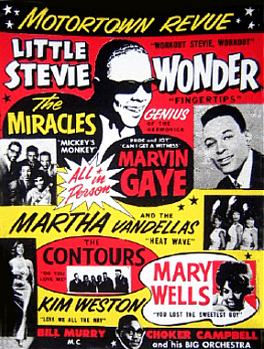 Their recordings 2nd only to James Brown’s as the most sampled in Hip Hop history. Once again, music that provided a big personal influence, this time during my mid-teens. Apart from its black / dance music legacy, it’s also the city that played a major role in the conception of Punk, via the late ’60s emergence of cult groups The Stooges (with legendary frontman Iggy Pop) and the MC5, whose raw energy was an inspiration for so many bands who came after them. From Alice Cooper through to The White Stripes, the Rock tradition has continued to flourish in the city ever since. 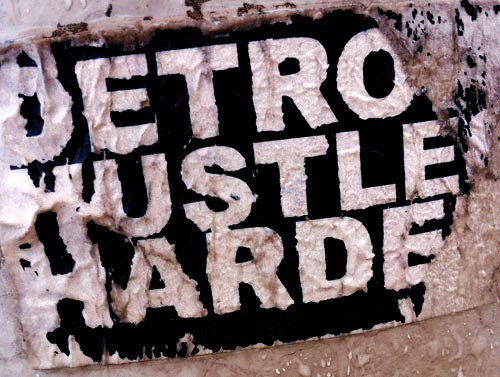 As the popular slogan says, ‘Detroit Hustles Harder’, for that’s the cloth it’s cut from. It also has an indomitable spirit, which I’m sure will serve to regenerate a phoenix from the flames resurgence, of which Movement is certainly a key part. I’ve no doubt that a lot more people from the UK will head over in the coming years – America is the new frontier as far as the dance festival is concerned, and Detroit is right at the vanguard of this, having a dozen years development already under its belt. I anticipate a high demand for tickets in 2013, and beyond, as the word continues to spread ever further afield – you can’t keep a good city down, and this is truly a great one, a city like no other. I just hope they ask me back next time. Great piece Greg. You really summed it up very nicely. 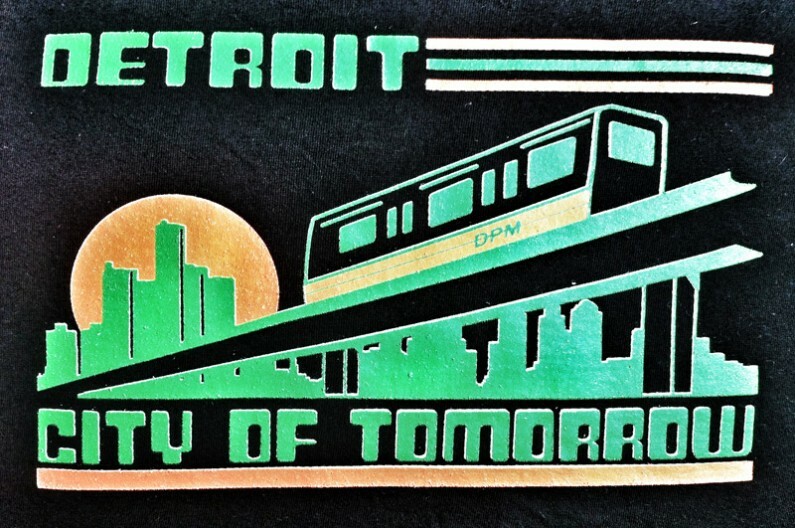 Now I want to visit Detroit – definitely. Thanks for the great read, Greg. We loved having you here and having the privilege to finally get to hear you play live in our city. There’s not a doubt in my mind that you’ll be gracing our presence another Memorial Day weekend down the road! Paxahau, make it happen! Nice piece on The “D” Greg. I really enjoyed getting to hear your set at the Main Stage Saturday and it was an honor to meet you just as Public Enemy was going on! Hope to see you back soon! Fantastic piece, Greg. Had a great time chatting with you at the festival and enjoying these revelations of what Movement has become. Thanks for the honest, well written piece. It’s interesting to hear your point of view. I try to remove myself mentally and emotionally from the situation and be more objective about Detroit’s future prospects but I find it nearly impossible to do so. The general sentiment of the people in the greater Detroit area is that the city will never recover. Of course, as Americans, superlatives relating to time and history get thrown around quite a bit and mean almost nothing when coming out of our mouths. I really believe and see it as nearly inevitable that Detroit will recover. I just hope we can stop the dozers from ploughing anymore history away in the meantime. Next on the list is the Packard plant. Now I want one of those shirts Specom, Bring them next year. Thanks for great sets in Detroit, Greg! Thanks, too, for your educated and nuanced observations on the city and its musical history. It’s rare that anyone, local or visitor, member of the media or casual observer, offers a perspective that’s unvarnished but fair; as with so many other things, I guess, people tend to have very extreme opinions about Detroit when the truth usually lies somewhere in the middle. Hope to catch you Stateside again sometime soon.